ABSDIG020 | Askel 'Lightvessel' (Ep) Digital Download + Streaming www.absysrec.com/absdig020 ARTIST @askelfin / www.facebook.com/askelmusic _______ DOWNLOAD or STREAM -> fanlink.to/Askel_Lightvessel _______ Our next digital release, ABSDIG020, is about new blood again. And this time we’re reaching out to the area of Tampere, Finland to present to you the one and only Juho Kavasto aka Askel – a producer, a DJ, and a drummer. With a couple of singles under his belt, released through e.g. Influenza Media or Midnight Sun, he’s a more than welcome addition to the Absys roster, offering a fresh take on contemporary drum & bass. 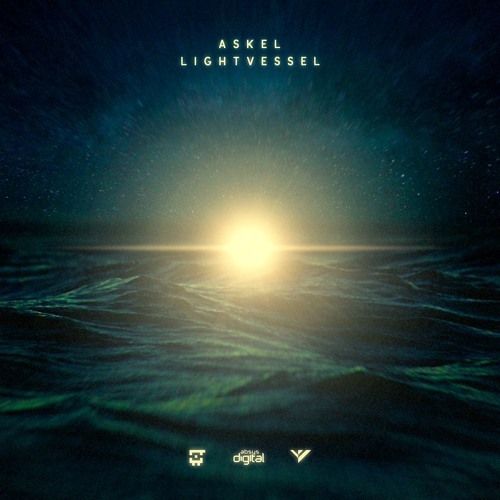 “Lightvessel” is an excellent three-tracker that will treat you to a range of shades of +/- 170 BPM electronic music. The title track is a half stepping example of the ‘future nostalgia’ sound, drawing on the synthwork of the 1980s, but full of modern-day chopped-up breaks at the same time, delivering a powerful blow all in all. “Hireling” surrounds the listener with a thick haze of basslines, rattling hi-hats, and growling synths, with a splash of female vocal here and there. “No Motion” closes the release with a booming sub-bassline, mysterious samplework, and dynamic beat programming. A seemingly innocent creeper that develops into a staggering hard-hitter. Three tracks and three different faces of the man behind the release. Recommended to anyone into variety and top-quality in today’s electronic music.